​​​​TEXAS - Paying higher tuitions at some of Texas' top schools may be worth it. Payscale Inc. released its annual College ROI report, which looks at average cost for four years of attendance versus 20 years of return of investment per the average graduate. 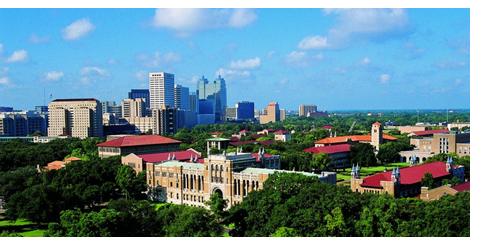 The report found that Rice University graduates earn the highest ROI compared to those of any other Texas school. While the University of Texas at Austin often ranks ahead of Texas A&M University on best colleges lists, the report also found that on average it is more cost-effective to be an Aggie. Texas A&M came in at No. 49 on the list for in-state students, with a 20-year ROI of $628,000 and a four-year cost of $85,700. UT Austin ranked No. 79 with an RIO of $571,000 and cost of $103,000. Both schools dropped in ranking when financial aid and out-of-state tuition were taken into account separately, though UT took more dramatic falls across the board. Texas schools regularly perform among the top of undergraduate and graduate lists.